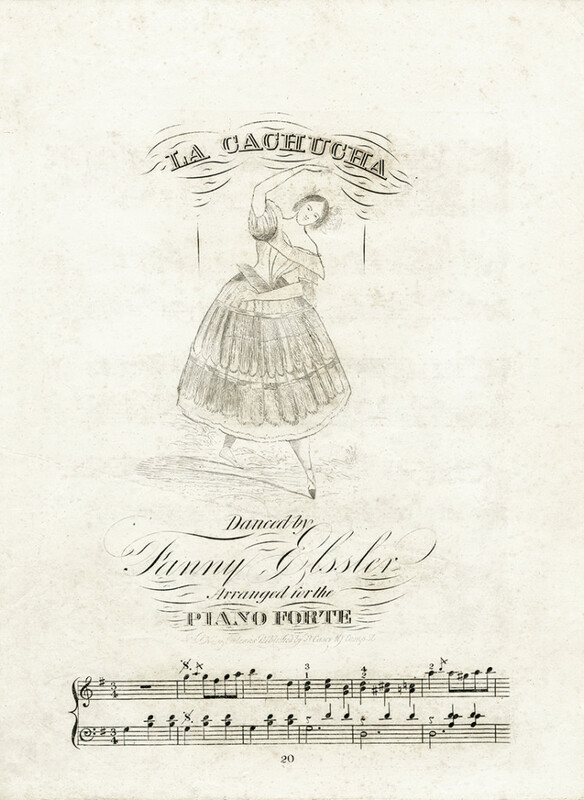 Austrian ballerina Fanny Elssler was a local favorite in the mid-Nineteenth Century as one of the many European dancers to visit the city on tour. The first New Orleans opera performance (“Sylvain” by Getry) was in 1796, and, while operas usually included ballet, the first official ballet performance here occurred in 1799. From that point on, Orleanians were fans. In a city where many languages were spoken, pantomime made ballet a popular entertainment: no words were ever necessary to understand the plot. And, while the female dancers were not scantily clad, the chance glimpse of a shapely ankle was a sure-fire hit with the males in the audience. European dancers were regularly coming to New Orleans on tour by the 1820s, with John Davis of the Theatre d’Orleans bringing in Parisian dancers Jean Rousset, and a Monsieur Olivier with his wife, a ballerina. In 1824, this troupe would have on their local program possibly the first American performance of the ballet “La Fille Mal Gardée,” a standard in the classical repertoire today. The American premiere at the Orleans Theatre of the opera “Robert le Diable” on January 29, 1839, featured a ballet that created a sensation and began the “romantic” dance style. Madame Lecompte, a French ballerina, was principal dancer in the cemetery scene of the ghosts of nuns rising from graves and cavorting in gauzy costumes. When Madame Lecompte arrived in the city later that year she was billed as the premiere danseuse of the Paris Opera Ballet, and appeared at the Orleans Theater for performances on December 27 and 29. The “Robert le Diable” ballet sequence was on the program, and The Daily Picayune noted that one of the dancers had been injured – problems with props and lifts had also marred the Paris opening. In Madame Lecomte’s troupe were dancers Marius Petipa, 21, and his father, Jean. One of the Petipa’s performed “Le Sergeant Fanfaron,” a “ballet comique.” Both Petipa’s were important in the world of dance, and Marius would become famous as the first ballet master of the Russian Imperial Ballet (Kirov Ballet) and as a choreographer. For something to applaud right now, watch the American Ballet Theatre ballet duet using Gottschalk’s “Le Bananier” on Youtube: youtube.com/watch?v=okimPisV0i4.